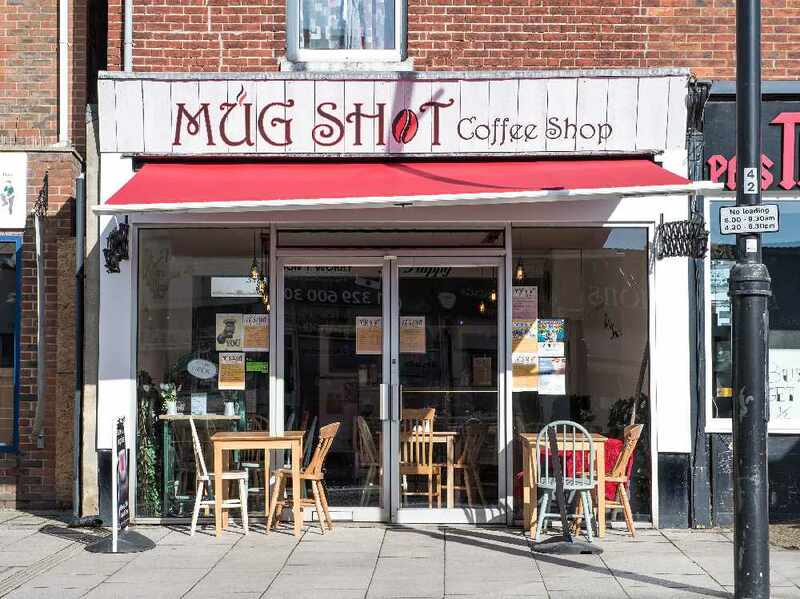 The ‘Mug Shot Coffee Shop’ in Fareham, is a community project offering training for adults with learning difficulties in customer service, food hygiene and food preparation. Amanda Barnes is the owner of the shop and wants to fully explore the talent of local artists’ in the community by running a competition for a mural design for the blank wall at the side of the property exposed to West Street shoppers. Amanda explains: "I want to find a local artist to design an amazing creation which captures and reflects the coffee shop, and what it’s all about. "An interesting work of art, which creates a talking point and encourages people to come in and be a part of the ‘Mug Shot Coffee Shop’ community. “I have set a closing date of 1st August 2017 and the information of how to enter is at www.mugshotfareham.uk. I really hope it will encourage the creative juices and inspire the community to get involved and I’m very much looking forward to seeing some great masterpieces." Amanda’s vision is to extend her training programme to the local community for adults with learning difficulties improving their social skills and building their confidence to help them achieve their long term goals. With a certificate from ‘Mug Shot Coffee Shop’, on the completion of their training to add to their CV, demonstrating their ability and achievements, which will hopefully give them the start they need. The project has been self-funded by Amanda to date, and she is now looking for sponsors to help her develop the project further to benefit more people in the community. If you would like to get involved or know more about the Community Project please contact Amanda at the Mug Shot Coffee Shop mugshotcoffeeshop@outlook.com. Any contributions or corporate sponsorship would be gratefully received to continue with the project and expand the training programme. Another full time member of staff is needed and funds to support this much needed community project long term.